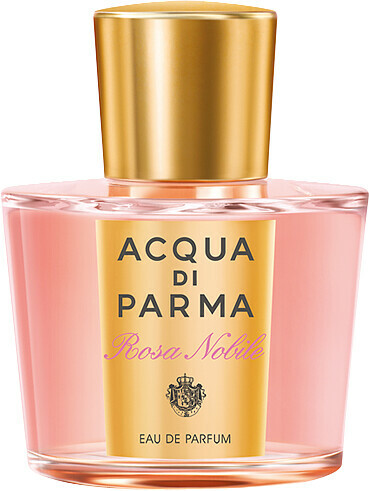 A fragrance of supreme elegance, Acqua di Parma Rosa Nobile Eau de Parfum captures the serene, natural beauty of a noble Italian flower garden in full bloom. At the centre of this exclusive garden, where art and beauty meet in a crescendo of emotion, is the rose. 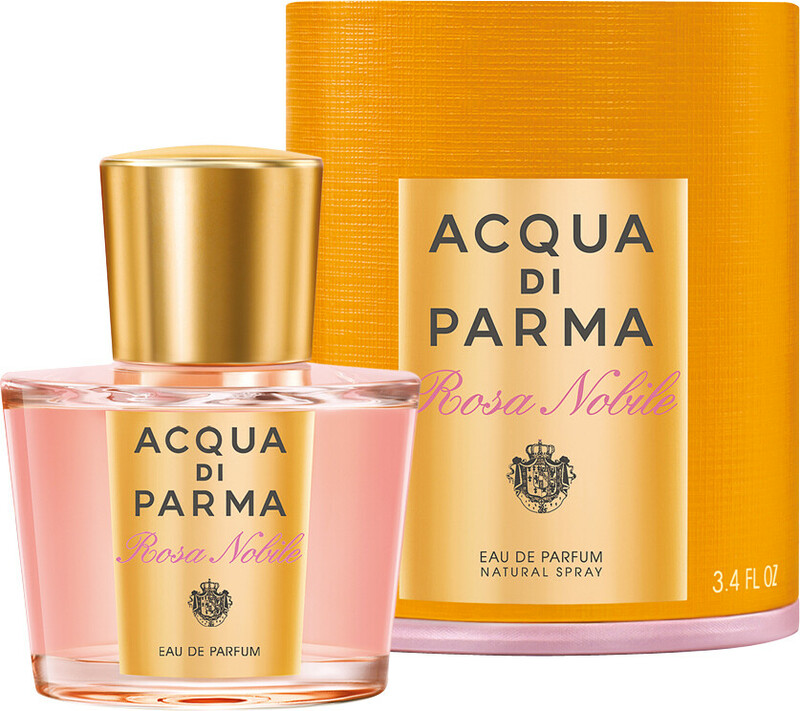 For this chapter in the Le Nobili fragrance universe, Acqua di Parma bestows its unequivocal charm to this queen of flowers to create a modern ode to the precious velveteen petals that is a fresh and rich as a bouquet of freshly picked stems. 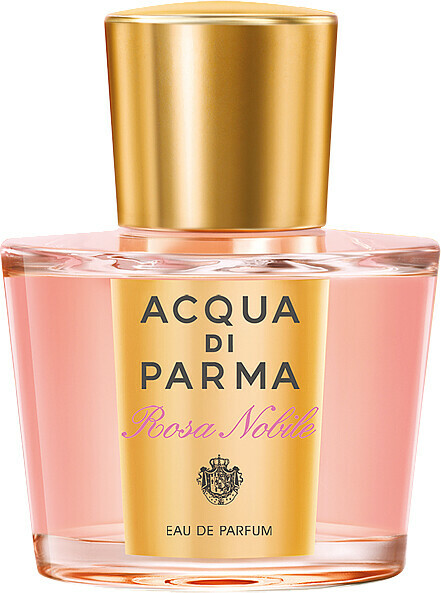 Acqua di Parma Rosa Nobile opens with the soft, vibrant notes of Sicilian mandarin and Calabrian bergamot spiced with pepper. In the heart, the core centifolia rose note is accented with the intense floralcy of peony, violet and lily, before the sensuality of woods, ambergris and musk brush the skin with their warm yet refined sensuality. 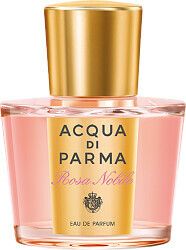 Acqua di Parma Rosa Nobile Eau de Parfum Spray is rated 5.0 out of 5 by 5. Rated 5 out of 5 by amelia from Just beautiful fragrance I love acqua di Parma, their products are amazing and top quality. The smell of this one is beautiful. Everybody has asked me what perfume I am using. I cannot recommend it enough. One has to be careful with cheap perfumes as the smell of alcohol is so intense. It pays off to pay for a quality perfume. Rated 5 out of 5 by Grandmacarol from Subtle I decided to treat myself to this when there was a 25% discount. It was still a considered purchase but I am so pleased I bought it. It is up there with the other two which I have by Acqua di Parma. Subtle but long lasting, not too overpowering, such a lovely wrap around scent. I love it just as much as the others. You won't be disappointed. Rated 5 out of 5 by Lolaanddreamer from Great perfume for the warmer weather I bought this product after reading Escentual's perfume boy's review. I am not usually a fan of rose scented perfumes but this one is really unusual and great. I wasn't sure if I should go for the Eau de Toilette of the the perfume and Nicki from customer service helped me and in the end I went for the perfume and it is great, I love it. The fragrance is really long lasting and it is my new favorite perfume for spring; clean and fresh. In the meantime I have also bought Stella, which is nice but cannot hold up to this one.